The 308 Winchester is one of the most popular and effective hunting rounds on the market. Originally used as an infantry service round for the US Military, the 308 has been used all over the world as a fantastic match and hunting round as well. 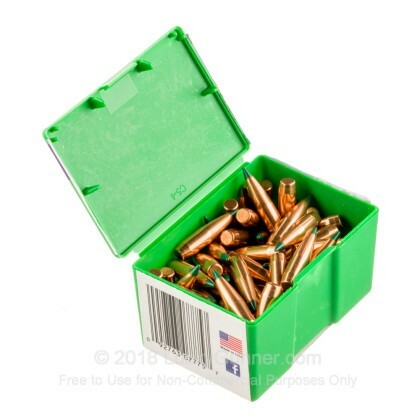 However, these 308 bullets can be used for many more calibers than just the 308 Winchester. If you are looking to load up rounds for your 300 Win Mag, or rifles that take a 7.62mm, these 308 bullets are perfect for you. 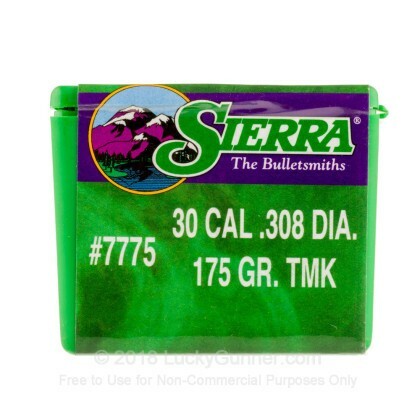 Sierra has for years been recognized as one of the most capable bullet manufacturers in the world. No matter whether you are looking to hunt, range train, or compete in a prestigious shooting match, Sierra is there for you. 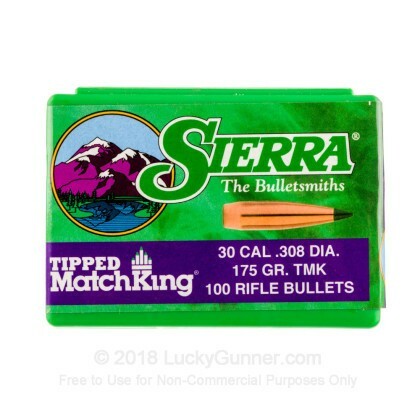 Sierra MatchKing bullets, in particular, have gained international fame for their incredible accuracy. 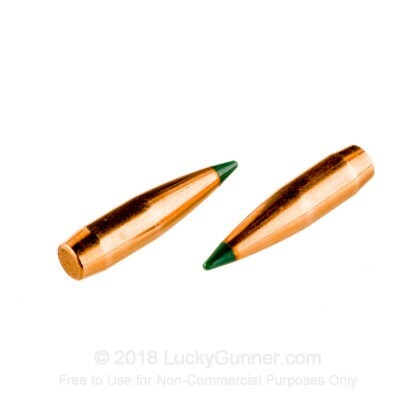 These polymer tipped, 175 grain, Sierra MatchKing bullets are perfect for you to take into your next shooting competition, helping you have that edge over the other competitors you need to win.